I was so excited when I received these new Giorgio Armani Lip Magnets in the post, I love liquid lipsticks so I couldn't wait to try them out. They come in 18 different shades so there is definitely a colour to suit everyone, I received six shades to try and they are all super pretty. 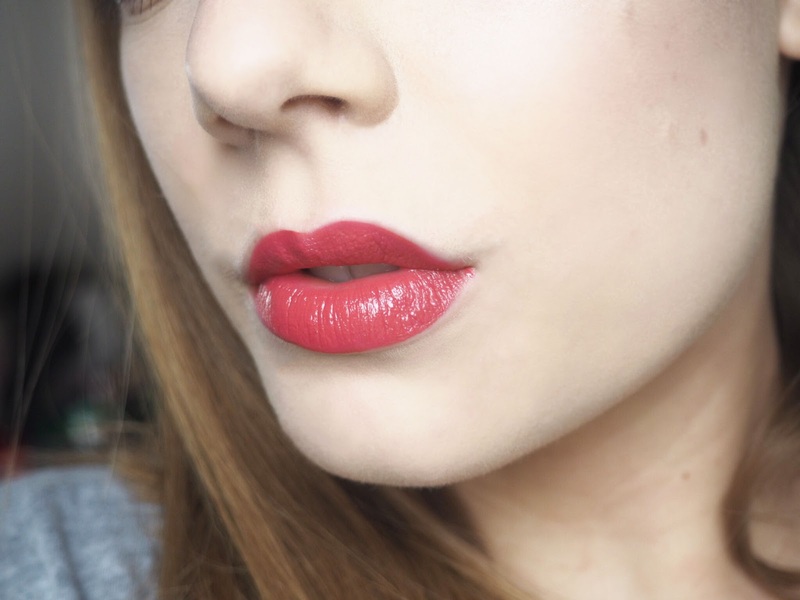 The Lip Magnets dry to a matte finish which tends to be my favourite finish for lipsticks and liquid lipsticks as I find they stay put longer throughout the day and don't smudge. 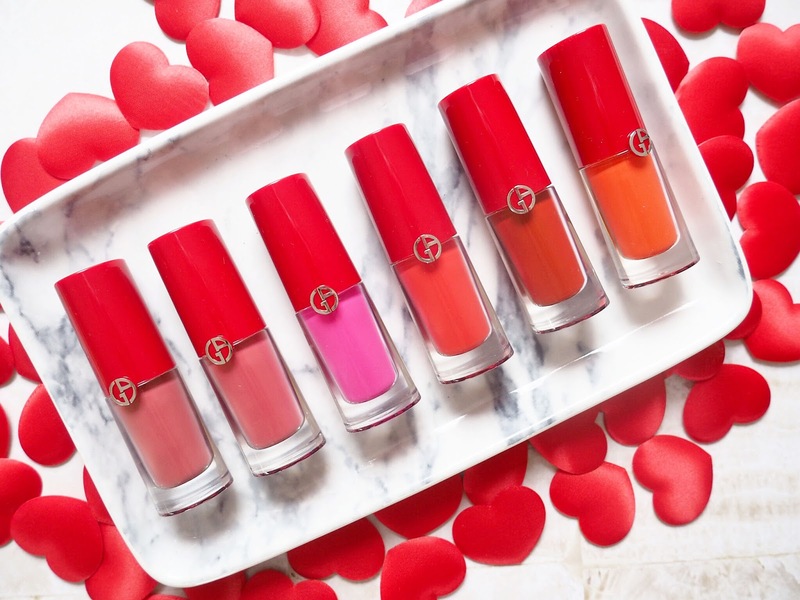 Armani claim the lipsticks have a "no-migration magnet effect" with an "extremely fine texture and unparalleled feeling of weightlessness." I can confirm that these claims are true, they stay put on my lips and don't smudge or fade at all. 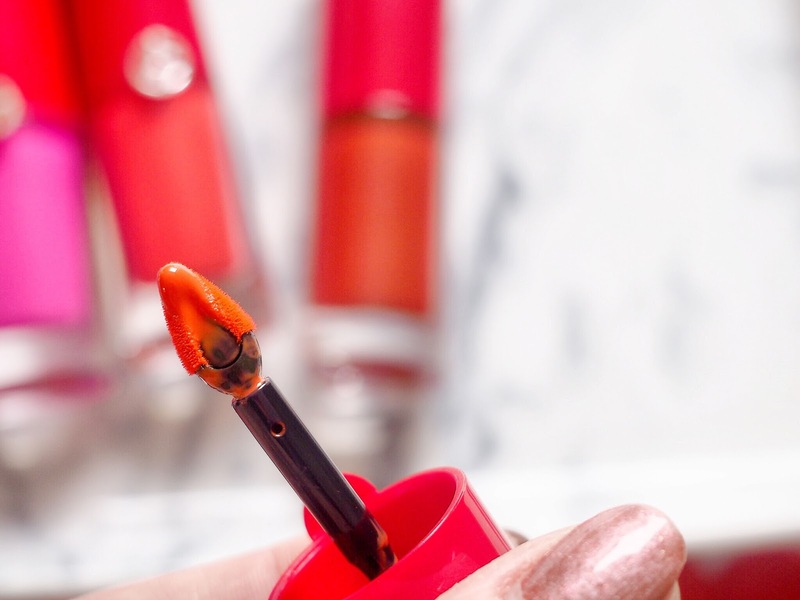 They are so much thinner in consistency than other products such as the Gerard Hydra Matte Liquid Lipsticks which I really like as they feel super lightweight and almost like I'm not wearing anything on my lips. As they're so thin, they also don't feel sticky or like they're drying my lips out which many liquid lipsticks can do, they feel comfortable to wear and I don't feel like I'm aware that I'm wearing anything throughout the day. In terms of the packaging, I love how you can see exactly which shade is which and I think the vibrant red lid makes them stand out. The uniquely shaped applicator is so handy and makes it really easy to apply the product, it allows for a perfect application which is also really quick. The applicator fits perfectly into the shape of my lips and makes it so easy to apply the product in difficult areas such as the cupid's bow! I love every single shade I received, the red shades are vibrant and classic, Eccentrico is such a bright and beautiful shade and Fusion and Second Skin are wonderful every day shades. Overall, I have been loving testing these liquid lipsticks out. If you want a natural feeling lipstick that doesn't feel heavy or uncomfortable on the lips then this is perfect. Their range of shades mean that if you like more natural shades or even if you're a bright red kind of girl, then there really is a shade for everyone! You can have a browse through their other shades here!